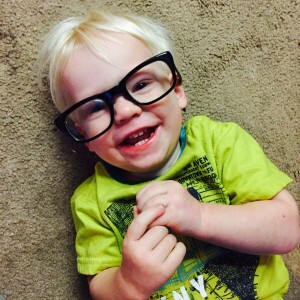 Create Every Day » Photo of the Day for Sunday, January 11, 2015: Look who got daddy’s glasses! Home > Create Every Day	> Photo of the Day for Sunday, January 11, 2015: Look who got daddy’s glasses! Photo of the Day for Sunday, January 11, 2015: Look who got daddy’s glasses! Look, a picture! Click to view full size.